And, as mentioned, thanks to the Simon and Garfunkel herbs (and some veggies), these ones taste like stuffing. Whether you are American (this may be a little soon for you guys, sorry, I have some more neutrally flavoured ones here), Canadian (we embrace traditional stuffing at Christmas too), or from elsewhere, you really just need to be human to love these (not tested on animals). 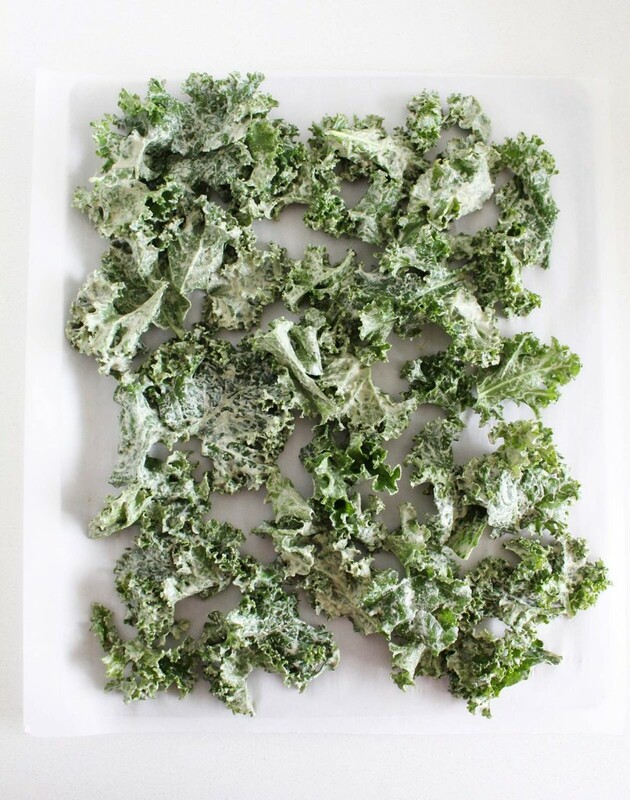 The best thing that can happen by making these kale chips a part of your daily December lives: you will get warm and fuzzy feelings all month long because your kale chips taste like holiday stuffing, but shhhh, you’re actually eating more kale every day than you have all year. The worst thing? 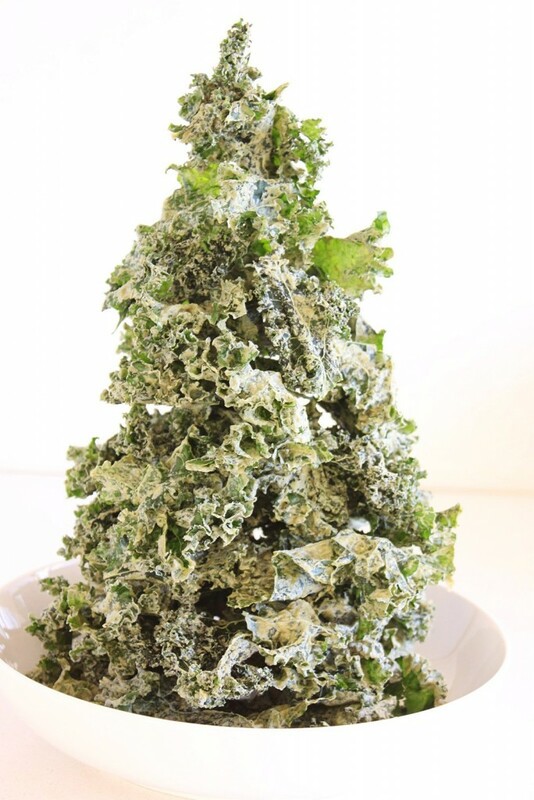 By the time Christmas dinner rolls around, you’re a bit sick of stuffing, due to all of the stuffing flavoured kale chips you consumed all month, so instead of the yeasty, refined carb, often sausage-filled stuffing, you load up on Brussels sprout casserole. See what happened there? Can we talk about some of the other ways these chips are going to make your December bright and shiny? 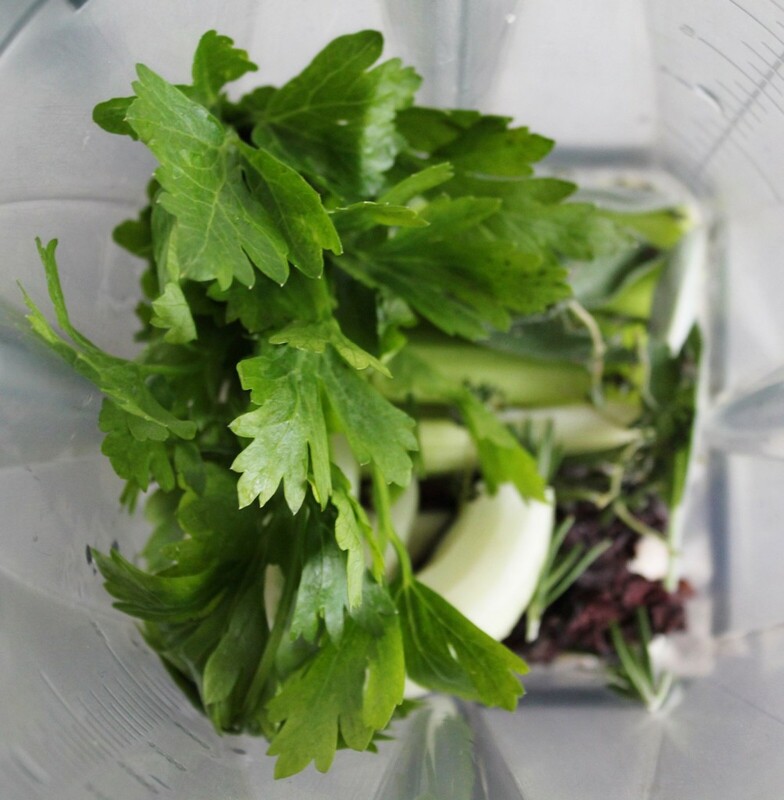 Those herbs are much more than music fodder: Parsley is a digestive aid (relevant during this indulgent time of year), anticarcinogenic (anticancer) and an antioxidant. Sage is an antimicrobial and decongestant (works well against colds and flu), and also stimulates bile flow (helps digest fatty food). 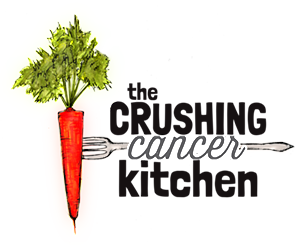 Rosemary is a strong antioxidant, reduces cancer risk, appetite stimulant (relevant if you’re going through cancer treatment), reduces headaches, is alkalizing (and so much more). Thyme supports lung health (is often an ingredient in natural cough remedies), is a powerful antiseptic, and helps prevent nightmares. 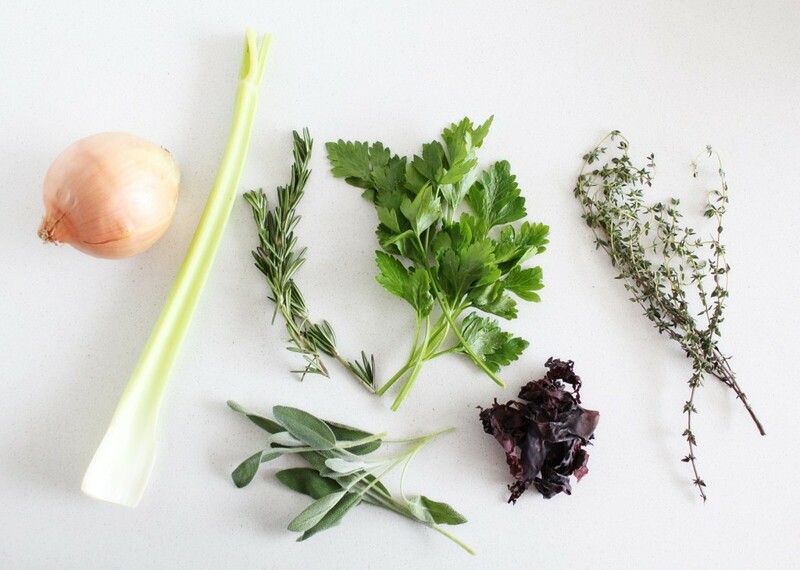 And that’s just the herbs. 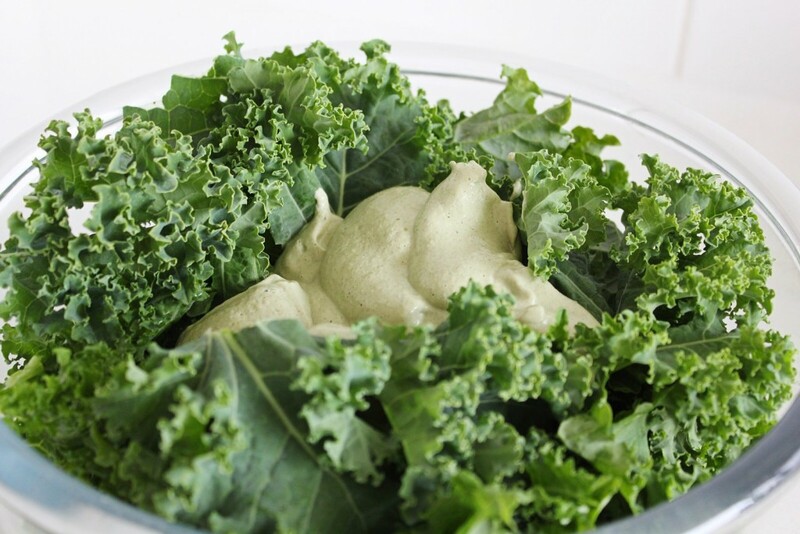 We also have protein-rich hemp hearts paired with creamy cashews and also the kale (because it’s kale). 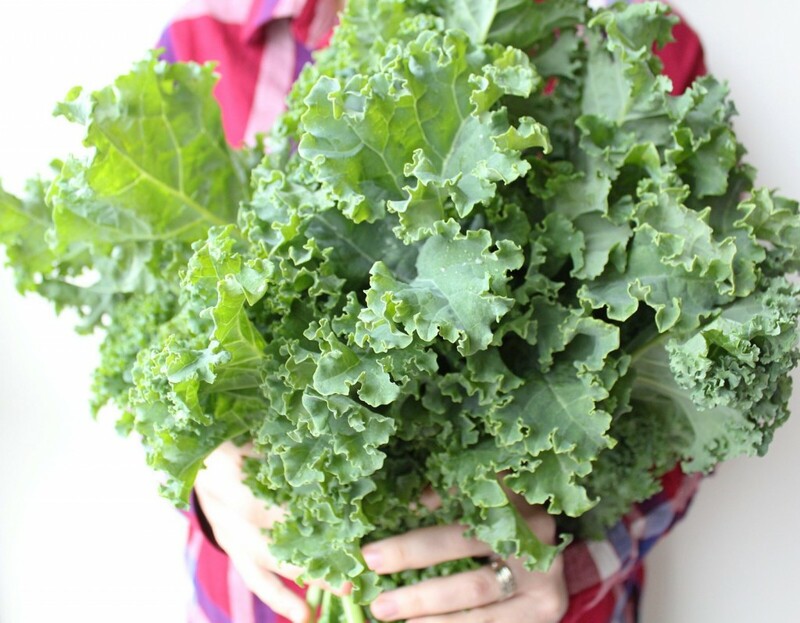 Two big, leafy bunches that cook/dry down to a manageable amount of kale chips that you will burn through in no time. 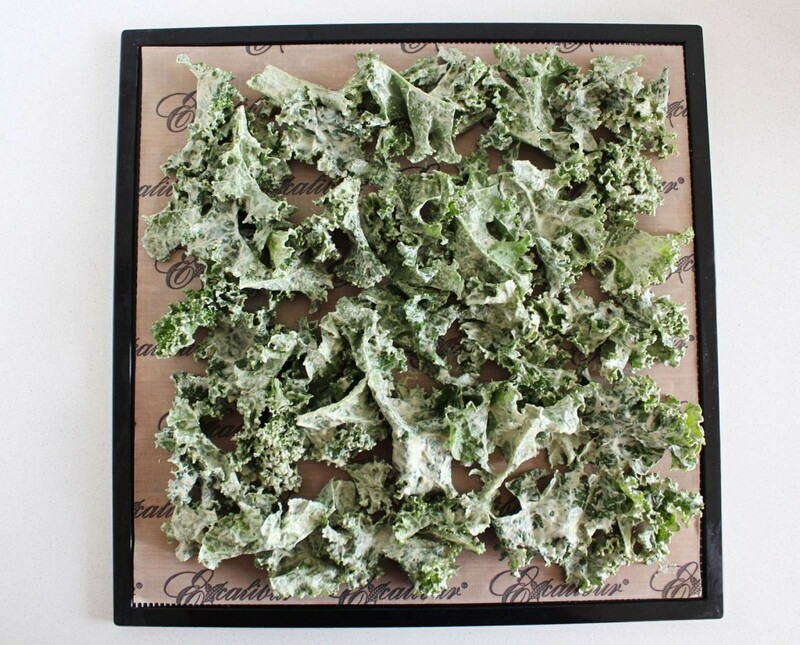 If you have a dehydrator, these can stay entirely raw (set it to 105*F), which means the enzymes will stay living, helping with digestion, and the vitamin c will remain. 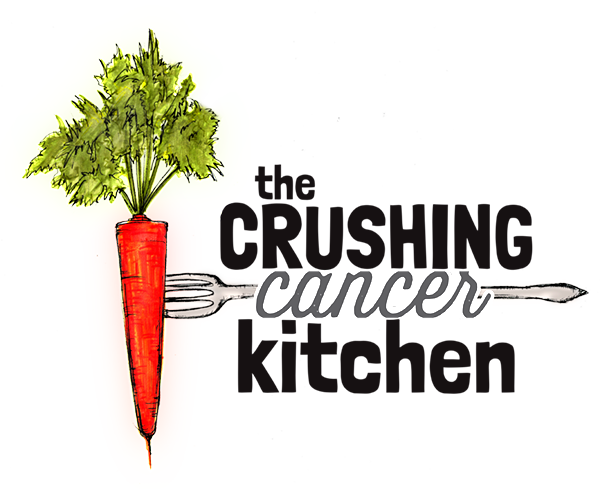 If you don’t, don’t worry, a low oven will work well and the cooking process will bring out different health benefits in the ingredients (also, you won’t have to clean a dehydrator). *Important note: don’t forget to drink lots of water (or stuffing tea) to stay hydrated. 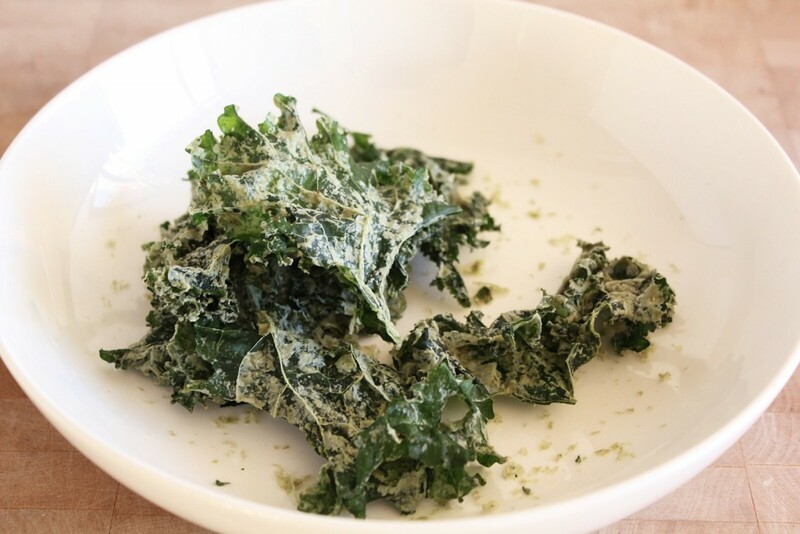 It’s important all of the time, but especially when you have dried kale chips re-hydrating in your stomach. All of that fiber needs some water to help move things along. 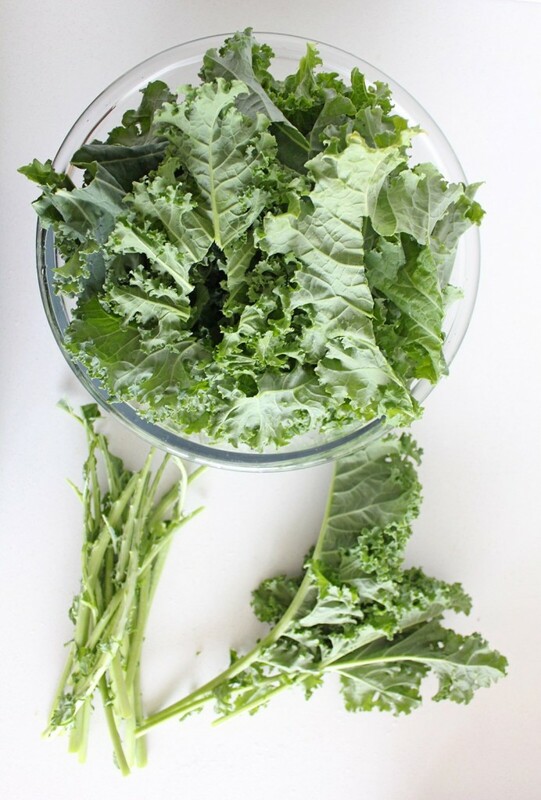 Pull the kale leaves from the stems (reserve the stems for juicing or smoothies). 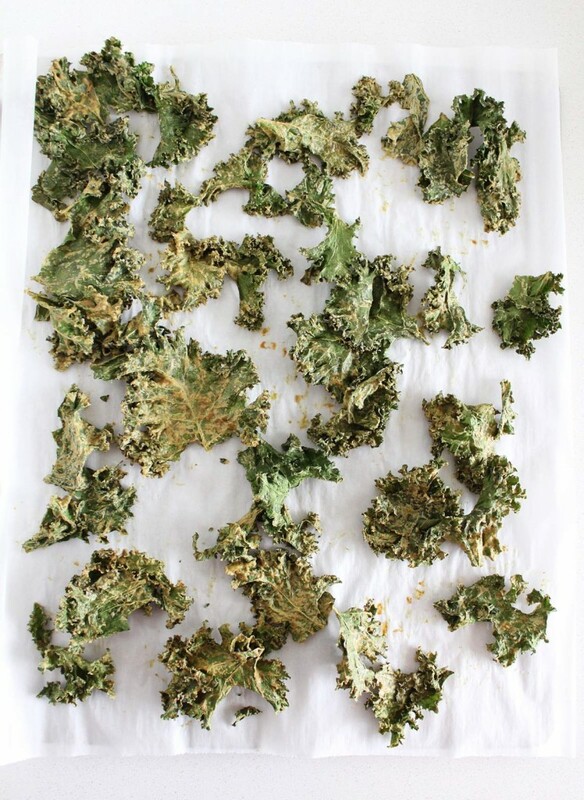 Wash and dry (well) the kale leaves. 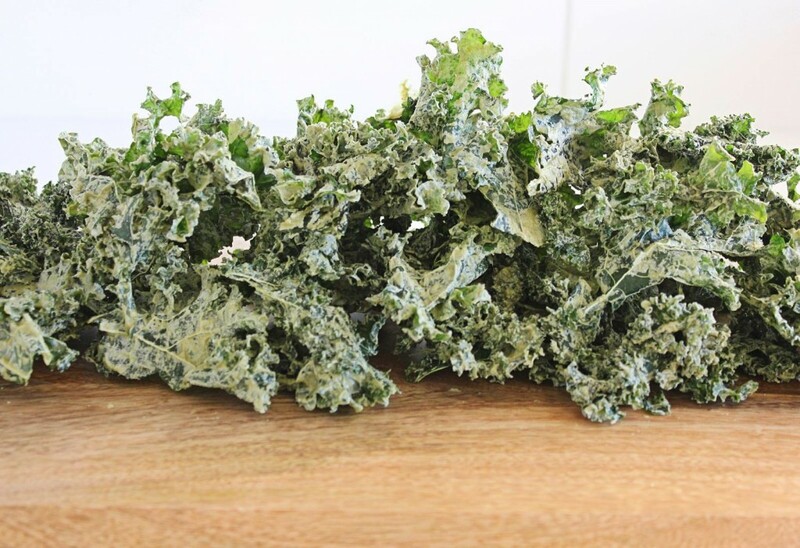 In a large bowl, toss the cashew mixture with the kale leaves until well coated. If using an oven, bake for 45-60 minutes, checking every 15 minutes to move them around for even drying/cooking (they are ready when they are bone-dry). 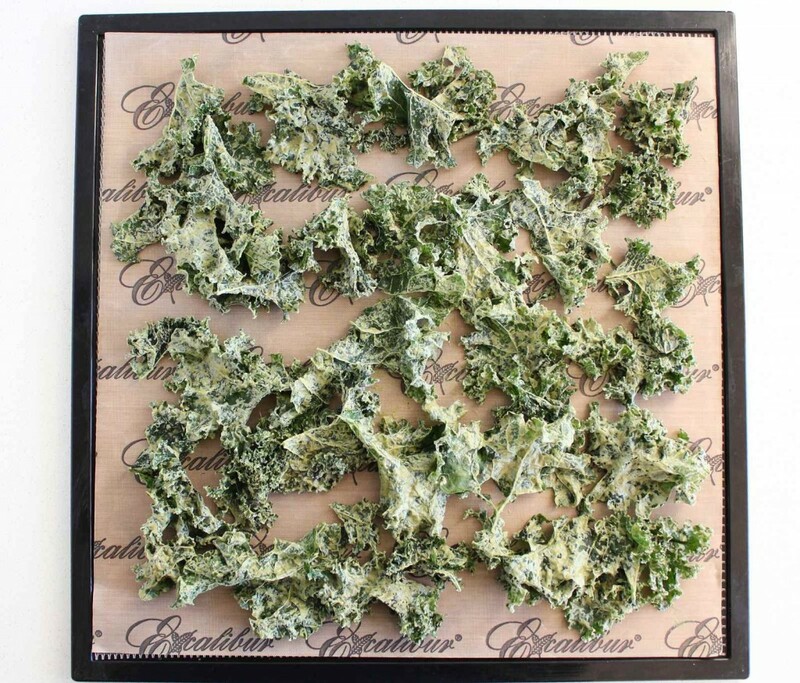 If using a dehydrator, dehydrate at 105*F for 10-12 hours or until they are totally dry.